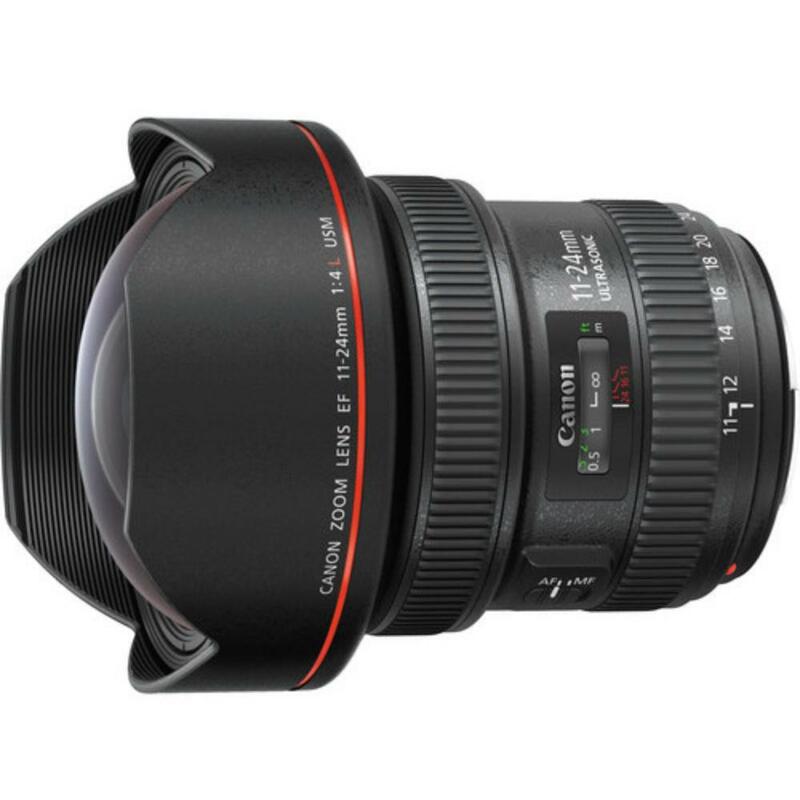 The Canon EF 11-24mm f/4L USM Lens is an advanced, versatile wide-angle zoom designed for full frame sensor cameras but will also pair with crop frame sensors. It is particularly well suited for landscape photography and sports reduced flare/ghosting and increased contrast/color accuracy. It is water and dust-resistant and also resists fingerprints. The internal focusing system is quick and quiet. This lens is ideal for vistas, architecture, interior shoots, and cityscapes. • This lens is compatible with both full frame and crop frame sensor EF mount cameras. The focal length equivalent on crop frame sensors is 17.6-28.4mm. 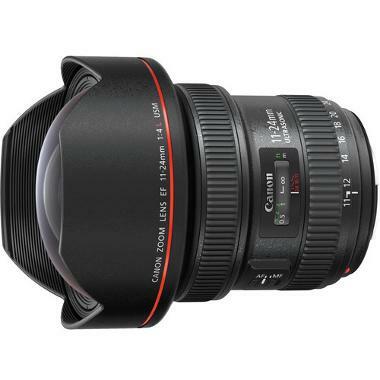 • This lens does not accommodate front screw-on style filters. A slip-in filter holder for gelatin filters is provided at the back of the lens. • This lens has a built-in hood that cannot be removed.